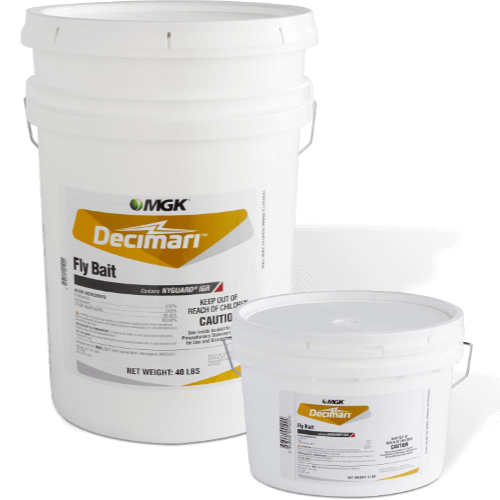 Decimari Fly Bait combines Clothianidin and NyGuard IGR to form a highly effective, quick kill product that provides long lasting control. What package sizes are available for Decimari? How can I apply Decimari to vertical surfaces? Decimari can be diluted in water and either painted or sprayed on. How often can I reapply Decimari? Reapply every 3-5 days or as bait is consumed.